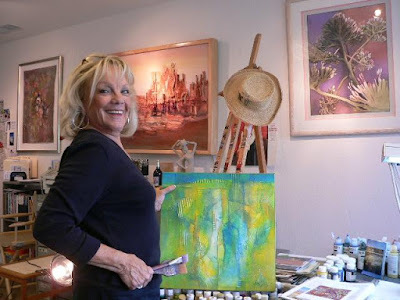 Lake Granbury Art Association is proud to announce that Jan Sitts, an internationally known artist from Sedona, Arizona will be teaching an Abstract Art Workshop at the Shanley House Gallery from Tuesday, October 9th through Friday, October 12th from 9:00 am to 4:00 pm each day. Seating is limited. Don't miss this opportunity and sign up now by contacting LGAA workshop coordinator Diana Littlejohn at 817-578-1842 or by email at littlejohndj@charter.net. Sitts’s career began early with her winning art awards in the second grade. She was formally trained at the Kansas City Art Institute and received a B.A. in Art from Western State College in Gunnison, Colorado. After graduating, Sitts worked in commercial art, movie animation and the motion picture industry. She has been a gallery director and an art teacher. She moved to Sedona over thirty years ago, where the Southwest had a powerful impact on her work. 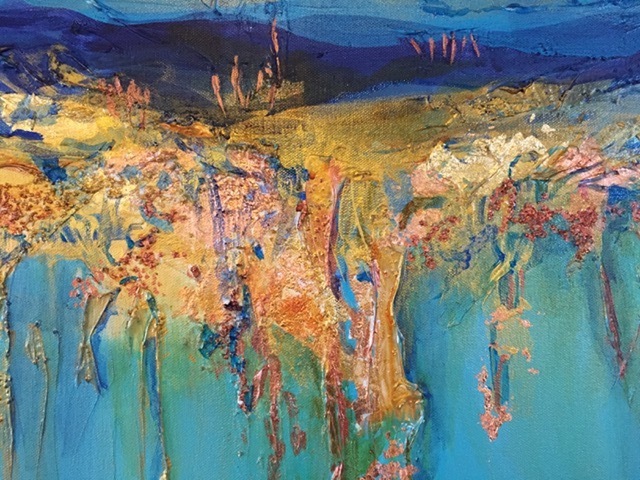 Sitt states “My artwork is a reflection of who I am.” She works in a spontaneous manner, building up the surface of her art by texturing, painting and layering papers. Sitts often repeats this process many times until she achieves the look she is going for. As the work develops, it becomes more important to her. She feels great satisfaction seeing the final image emerging from her canvas. Sitts has received numerous awards, written several books and continues to teach national workshops. You will learn new techniques to master the ins and outs of an abstract painting. Sitts workshops are lively and filled with fun.